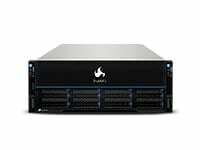 San Jose, CA — iXsystems, the industry leader in storage and servers driven by Open Source, announced its TrueNAS M-Series has met the requirements as a Veeam Ready Repository for Veeam® Backup & Replication™. The TrueNAS M40 model was tested in accordance with Veeam’s guidelines. 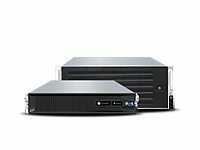 iXsystems’ hybrid storage products, which include the TrueNAS X-Series and M-Series storage arrays, compliment Veeam Backup & Replication™ to provide VM-aware backup and storage. 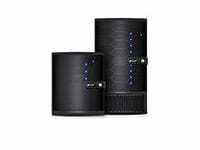 The TrueNAS X20 is a cost-effective enterprise storage solution that is designed to help small and midsize businesses modernize their storage infrastructures and was announced in the middle of 2017. 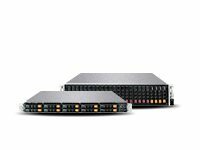 The TrueNAS M40 is a recent addition to the iXsystems hybrid, unified storage product line, and was announced in early April of this year, offering further scalability and performance. Veeam certification tests the speed and effectiveness of the data storage repository using a testing methodology defined by Veeam for Full Backups, Full Restores, Synthetic Full Backups, and Instant VM Recovery from within the Veeam Backup and Recovery environment. 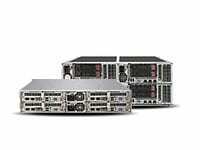 Customers can meet their hyper-availability requirements via unified support for SMB, NFS, AFP, iSCSI, and Fibre Channel protocols and as unified file, block, and object solutions with TrueNAS systems. 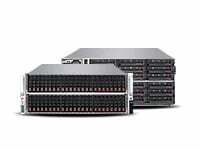 Flash-assisted or all-flash storage solutions are available, helping businesses achieve blazing-fast performance, share the same workflow, and act as a SAN and a NAS, meeting the needs of any enterprise data storage and backup workload. Non-disruptive firmware updates, around-the-clock backup services, and zero downtime help businesses achieve a unique level of hyper-availability with TrueNAS. Using OpenZFS, which ensures that backup images can be retained and replicated with guaranteed long-term data integrity, offers businesses a robust and viable storage option. 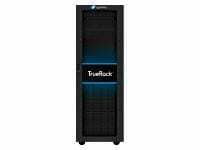 TrueNAS backup solutions with Veeam start at less than $10,000 and scale at approximately $100 per terabyte. To learn more about TrueNAS backup solutions with Veeam or to obtain a no-risk quote on a TrueNAS configuration, visit www.iXsystems.com/TrueNAS, email info@iXsystems.com, or call us at 1-855-GREP-4-IX.